..and I won!! 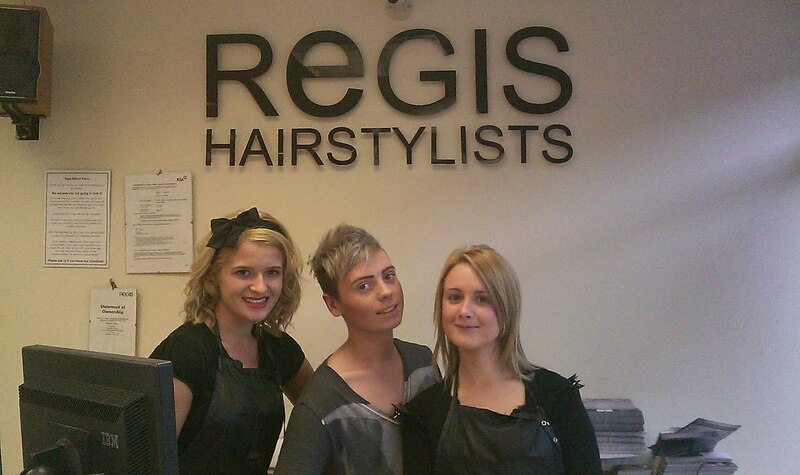 The prize was a free cut and colour at my local Regis Salon worth up to £100! Despite needing an immediate update I decided to wait until yesterday to go (it's Little E's Christening today so I wanted to save it for a special occasion.) As you all know, there have been a couple of hair disasters of late - namely due to the scissor happy hair dressers on two magazine shoots, the latter I didn't even share pics with anyone because I was so mortified! Anyway, as you can imagine I was a little bit apprehensive having been butchered a couple of times by 'trusted' professionals, but when I arrived I immediately felt relaxed and at home. My stylist was Ben who had come over from the Preston salon. Luckily he didn't lose patience with my indecisiveness - why is it that you can book a hair appointment weeks in advance but then you still don't know what you want done when you get there!? I umm'd and aaah'd over colour and eventually decided to give my bonce a lift with a full head of blond highlights. 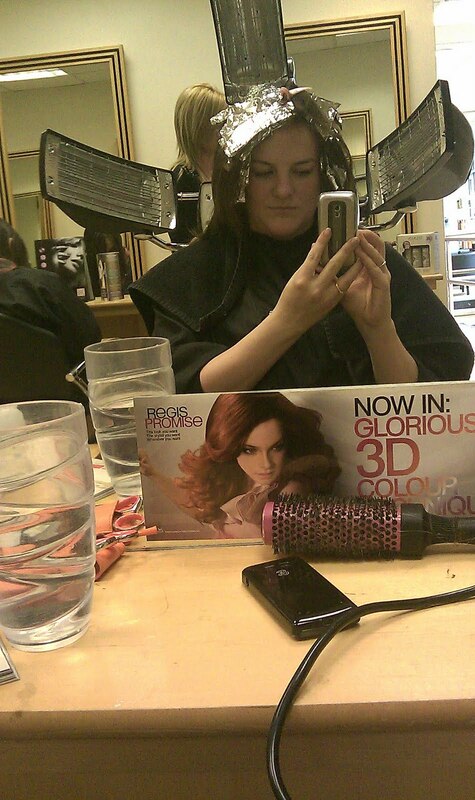 I've been brunette for over a year now but fancied a change ready for Summer. Ben and I had a good old natter about concerts, birthdays (it was his birthday on Friday 'Happy Birthday!') and Ben's application to go on Big Brother. I think he'd make a fab contestant by the way, so good luck with that Ben - I'll see you on the TV this Summer! and here's one of me now... (this is for you to see the colour only - I've been caught in the wind, rain and slept on this since Ben finished me!) The pic really doesn't do Ben any justice but I can tell you I'm really, really happy with it. I had a great experience at Regis - Ben, Kim and Ashleigh were all lovely and i'll definetely be going back there again. Fabulous! Thank you guys!! If you fancy a new barnet then head to www.regissalons.co.uk or if you're local to me then head to Regis Ormskirk for 20% off Monday to Thursday. Go!